The Sackler Family is a major name in both the pharmaceutical and the art world. Or it was until very recently when art museums that used to accept donations from the Sackler Family started to distance themselves from the family’s trust after the news broke out that the family was responsible for “misleading the public” about their pharmaceutical company’s product “Oxycontin.” Certain family members face charges saying that the family was responsible for pushing a dangerous drug to the market despite the risks. It was after the news that broke out that the museums, who were receiving donations from the family’s trust’s charity, started to sever their links with the family, likely to either show solidarity with the victims of the case or to just save the name of their institution. Two of the museums that cut ties with the family were the Met Museum in New York City and the Tate Modern Museums in the UK. Several other museums, such as the Guggenheim Museum in New York and UK’s National Portrait Gallery have also cut ties with the family a few days prior. Due to the links between the big museums and the Sackler family (they have been very generous in donating money to major museums around the world), there have been lots of protests in both inside and outside of those museums. Activists descended on the museums, especially those with galleries bearing the Sackler name, such as the Arthur M. Sackler Gallery at the Smithsonian and the Arthur M. Sackler Museum in the Harvard Museum. The activists are ravenous with their demands, as they always do. One such demand was for the museums to scrub the name of Sackler from their institutions, despite Arthur M Sackler’s having nothing to do with the opioid. However, protesters point out that though he didn’t touch the drug, it was his marketing strategies that were later employed by the Purdue Pharmaceuticals. Harvard saw how ridiculous their claims were so, in the end, they denied the activists of what they wanted. The Arthur M. Sackler Museum will keep its name. A spokesperson elaborated the reason for Bloomberg, stating that Dr Sackler passed away before the drug was made and sold. The other museums, however, folded in some degree. 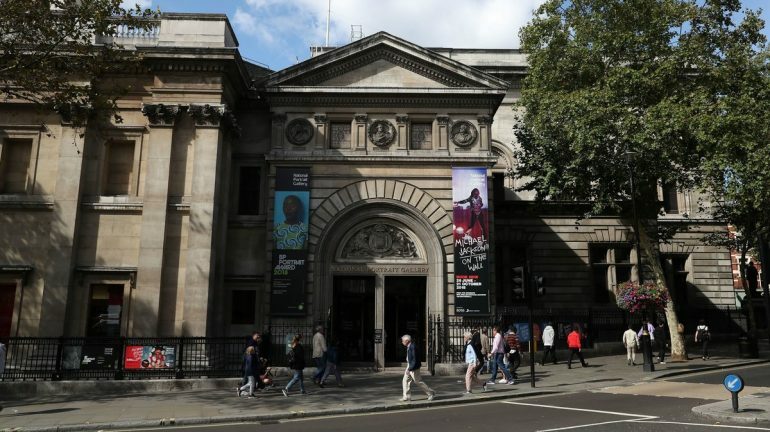 The National Portrait Gallery in the UK, for example, had to think about whether or not they should not accept any donations from the Sackler family. But they eventually decided to cancel accepting any donations from them for the time being. The knowledge of the scandal has spread even to the UK where there is no opioid addiction crisis going on. Eventually, the Sackler family decided that it would stop giving donations to the museums for now. How will this affect the museums is still unknown. For more than 50 years, the Sackler family has been a big name in the art world for their huge contributions to the museums. But this scandal is now threatening to erase their name from history. 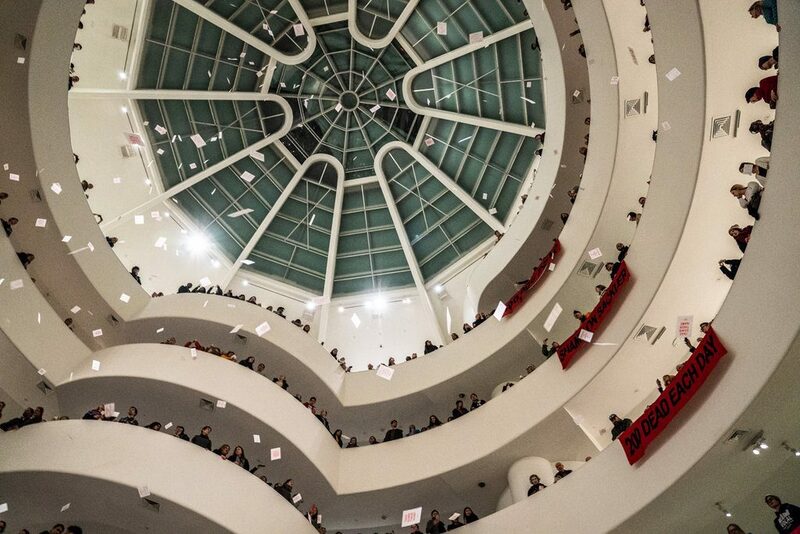 1st Image: The National Portrait Gallery in Central London, via the National Public Radio, Inc.
2nd Image: The protest against the Sackler link at Guggenheim, via The New York Times.